A cute puppy stole your heart at an animal shelter, or maybe you adopted an older cat. Now what? Are you ready to bring your new pet home with you? 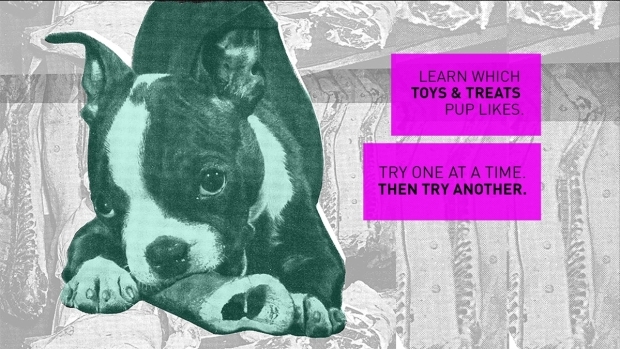 Two animal experts can offer advice on what to know after you adopt a pet. Johanna Chawziuk-Sisk is executive director of the Pampered Paws Sanctuary for cats in Farmington, New Hampshire. She turned her home into a shelter, providing lifetime care to about 30 disabled, elderly and special-needs cats. Brian Glaudel is a kennel worker at Barstow Humane Society in Barstow, California, and a certified dog trainer. He handles up to 30 new dogs each day at the shelter. Before bringing a dog home, Glaudel advises, think about whether you have enough time for it. "It’s not necessary for everybody to own a dog," he said. "You have to make sure that you’re giving the dog enough attention, as if it was a family member. Otherwise it’s cruel." If you already own a female cat, the second cat you adopt should be male. If you have an older cat, you should adopt a younger one so "the existing cat still feels special and the new cat becomes a subordinate," according to Chawziuk-Sisk. "That helps in the acclimation process because the older cat doesn’t feel like it’s being replaced by a cute kitten," she said. When making the initial introduction, put the cats on opposite ends of a room or separate the new cat’s space with a screen; this way, they have time to scope out their surroundings. People who are interested in adopting a dog from Barstow Humane Society are invited to bring in their other dogs in to meet potential siblings ahead of time. "If there’s a problem [between the two dogs], it’s immediate. It can combust right away," Glaudel explained, adding that it's important to do a meet-and-greet on neutral territory, like a park or a street, to figure out if the animals will get along. Keep them on a leash when you introduce them. "A little posing, growling and snapping is natural; they have to determine their pecking order. If it’s bad, you will know right away," he said. Glaudel said he introduces news dogs to the shelter environment every day, placing two to four dogs in each cage due to overcrowding. If your new pet comes from a mainstream shelter, it should already be vaccinated, spayed and neutered, according to Chawziuk-Sisk. If it has been microchipped, you should get that information, too. Vaccinations protect your pet for a year, so remember to renew them. Dogs that are not vaccinated are susceptible to parovirus, a highly contagious viral disease that attacks the intestinal tract, causing diarrhea that can lead to life-threatening dehydration, according to Gladuel. 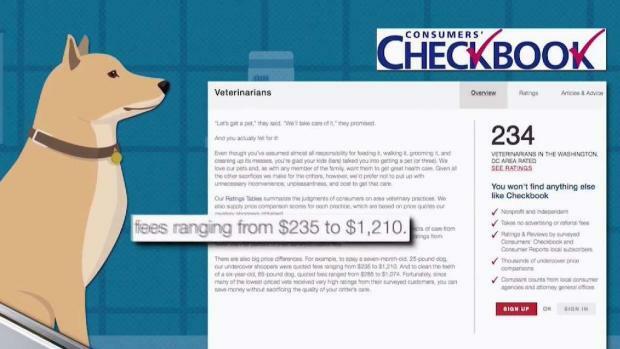 Owning a pet can be expensive, especially when it comes to medical costs. A local consumer group found substantial price differences among local veterinarians. When it comes to vets, it’s about the "personal connection," Gladuel said. He warned about vets who overcharge and those who "sense if you have a deep emotional tie to your pet and take advantage of it." "I’ve seen vets charge six times more of what the procedure would cost because they can," he said. "They get you at a time when you’re vulnerable." Learn more from the Humane Society about choosing the right vet. The type of food you give your pet depends entirely on your budget, according to Chawziuk-Sisk. Most people can’t afford expensive food, so if your cat is healthy, it’s fine to mix high-quality food with some more cost-effective options. "A lot of animals decide for themselves and some cats never eat wet food," she said, adding that her cats eat every four hours. Glaudel follows a simple rule when it comes to feeding dogs: "If you can buy the dog food at a grocery store, you shouldn't it give it to your pet." Walking down a pet food aisle, a new owner can become overwhelmed trying to pick the best food for his or her four-legged family member. From chicken flavor to fresh lamb, digestive care or natural balance, the options are endless and knowing what the terms mean can be difficult. Texas vet Dr. Heather Frankfurt outlines what owners should look for when picking out pet food. 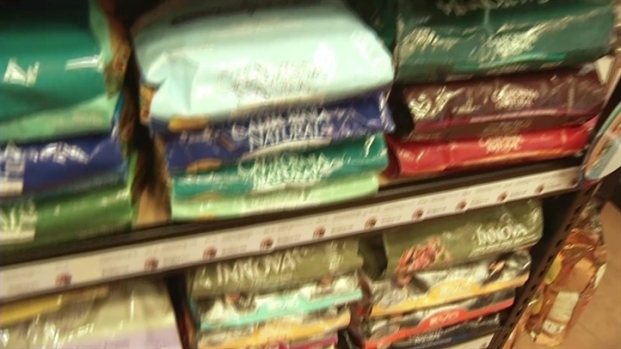 The main ingredient in inexpensive dog food is corn, a filler that lacks nutrients, according to Glaudel. "It makes a huge difference if you spend extra money on quality food," he added. Small dogs should eat every few hours because otherwise they can become hypoglycemic, while larger dogs can be fed once in the morning and once in the evening, Glaudel suggests. He said he gives his own dogs "people food" as a treat but "if you’re just going to give them people dinner all the time, that’s a terrible idea." He warned that things like onions, chocolate or tomatoes in sufficient quantities can kill them. More information on how to properly feed your pet is available through Petco. Cats don’t need to be walked, but they love to chase things, play with toys and interact with their owners. Chawziuk-Sisk said her cats enjoy chasing laser dots and anything tied to a wand. "They do need interactive play time with the owner to bond with them and to get some exercise, which depends on their age," she explained. For big dogs, exercise is critical, Glaudel said, which means you have to take them out for long walks and runs. When dogs have behavioral issues and start chewing on your furniture or shoes, it’s probably because they’re not getting enough exercise. "A tired dog is a good dog," he said. "Half of your behavioral problems will go away if you exercise them outside. They will get used to a routine and won’t do it." Small dogs will probably get enough exercise inside your house, since they’re hyper by nature, Glaudel said. All cats should have scratching posts or some piece of furniture that they can scratch to keep their nails trim, Chawziuk-Sisk said. "We don’t declaw because we consider that to be inhumane," she explained, adding that you can clip your cat's nails if the animal is sick or old and not moving enough. Cats with long hair should be brushed. Most big dogs require brushing, and they enjoy it, according to Glaudel. Short-haired dogs will shed less if you brush them regularly. Smaller, long-haired dogs, meanwhile, need grooming quarterly, so they don’t get skin sores or stool stuck in their hair. 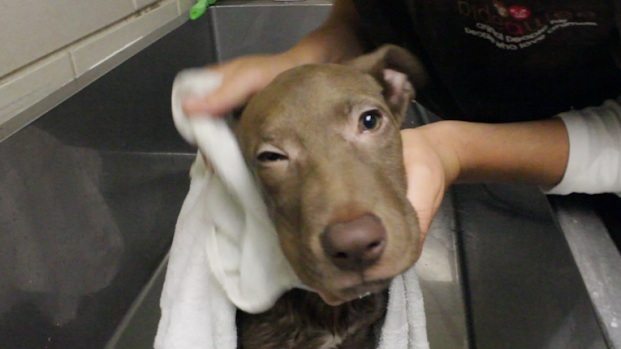 If you have the budget, treats your furry pal to a pet spa once in awhile. Cats should have a cat bed in a location they like to frequent and where they feel safe, Chawziuk-Sisk recommends. "The cats are known to stay in one spot for six months at a time and then they can take up residence someplace else," she explained. "We had to buy a king-size bed because our queen-size bed wasn’t enough for us and the cats," said Chawziuk-Sisk, who shares her bed with her husband and many of her 30 cats. "It’s cozy and if you want to move around they move out of the way." Dogs can sleep with you on your bed or in their kennel on a comfortable surface, as long as the kennel door remains opened. Closing the door to the kennel, Glaudel said, will make them feel like they are being punished. Older dogs often have joint problems, so a soft place for them to rest is essential. Dogs don’t require fancy pillows; repurpose your old blankets, he recommends.